The following FAQs discuss the relevance of proper carpet maintenance in great detail. Check them out for more information. Are you dealing with water damage on your carpet and are afraid that mold will develop? If you are wondering how these problems are solved and how you can take care of your carpets, read the following answers to several frequently asked questions. They will be enlightening and very helpful. If you don't know how to clean rugs, click here. Short answers, rich content! 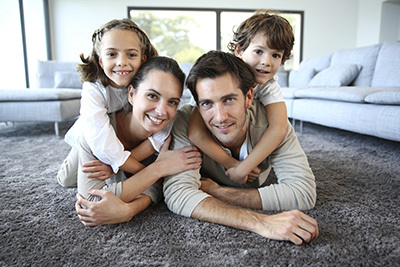 Carpet Cleaning Sherman Oaks recommends between twice and three times a week. You can then repeat it every six months. If someone in the home has asthma or is ill in any other way then the serious cleaning should be done each quarter or every three months. Do I need to move the furniture before cleaning? It all depends on the complexity of the cleaning job. If you only need to get rid of a small stain, then there is no need of moving things around. However, if the entire carpet needs to be cleaned, it is recommended to move the furniture and clean around it as well. What do I do if my pet stains my carpet? Carpet Cleaning Sherman Oaks experts would suggest that you use agents that remove both stain as well as odors. Afterwards you may want to use baking soda just in case as some pet stains can have a very powerful odor that isn’t easily removed. What are the different methods in cleaning carpets? 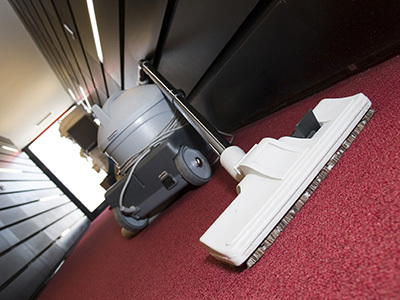 Some popular professional cleaning methods for carpets are hot water extraction and dry carpet cleaning. Hot water extraction is often referred to as steam cleaning, and uses heated water with diluted cleaning compounds to soften the dirt before being sucked out. Dry cleaning uses little to no moisture and is considered to be faster. What do I do if the carpets get wet? Carpets shouldn't remain wet for long. If you spill a drink or water, there's a leaking problem or an issue with the plumbing system and parts of your carpet get wet, use dehumidifiers, open the windows or grab your hairdryer and dry well the area. Your goal should be to dry the area completely to avoid mold contamination. Even if the carpet dries well, our carpet cleaners suggest checking the carpet the following days to make sure it's completely dry. It depends on the pile’s thickness and on the weather, to some extent. In any way, the carpet shouldn’t take longer than 24 hours to dry completely. It is advisable that you do not step on it for at least six hours after cleaning. In fact, it is better if you wait for eight hours just to be on the safe side.